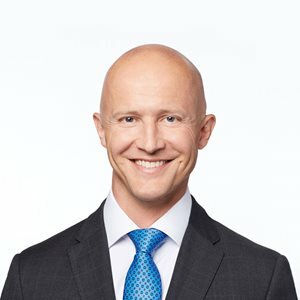 Based in Gowling WLG's Montréal office, Rafal Wrzesien has over 16 years of business law experience, with a particular emphasis on mergers and acquisitions, private equity, distressed M&A, procurement, and construction. Rafal is the leader of the Central and Eastern Europe (CEE) Country Desk for Gowling WLG Canada. Rafal advises clients on the legal aspects of projects, namely in the fields of technology, infrastructure and energy. In this capacity, he is regularly involved in the preparation and negotiation of various types of commercial agreements, with expertise in drafting and negotiating acquisition contracts (shares and assets), shareholder agreements, construction contracts and bid materials. In addition to practicing law, Rafal spent a year in Europe assisting a leading Polish energy and hazardous waste management company with reorganizing its business operations and with its business development initiatives. He is recognized as an Acritas stars in the 2018 Global Acritas ranking and he is repeatedly recommended in the Canadian Legal Lexpert Directory for Corporate Mid-Market (2018). Rafal is fluent in English, French and Polish. Rafal was a guest professor in 2012, 2013 and 2014 of an MBA class at the John Molson School of Business (Concordia University) entitled Applied Private Equity and Venture Capital. Rafal has co-authored "The Canadian M&A Market: 2011 Outlook Appears Positive" published in the 2011 Lexpert Guide to the Leading US/Canada Cross Border Corporate Lawyers in Canada. Acting for a large facility management Service Provider in relation to the design, construction, financing and maintenance of the new campus of the McGill University Health Centre (MUHC PPP). Acting for the construction joint venture for the design, build, financing and maintenance of the new Centre hospitalier de l'Université de Montréal complex (CHUM PPP). Acting for the Cree Regional Authority in the preparation of RFP documents and related documents for the design and construction of justice facilities and regional police headquarters. Acting as general external counsel in the province of Québec and addressing a broad range of legal issues (i.e. partnerships, supply contracts, RFPs, compliance with internal policies) for a global leader in the field of electronics and electrical engineering, operating in the industry, energy, transportation and healthcare sectors. Acting for a U.S. private equity fund in a cross-border M&A transaction for the purchase, through a corporate entity constituted in Canada, of all the issued and outstanding shares of a privately held collocation business. Acting for a leading Canadian private equity firm in relation to a transaction for the purchase, through one of its subsidiaries, of all the issued and outstanding shares of a privately held Canadian company in the packaging industry. Acting for a leading Canadian private equity firm in relation to the financing and acquisition of all the issued and outstanding shares of a privately held U.S. corporation in the manufacturing and packaging industry. Acting for a syndicate of foreign banks in connection with a financing for the construction and term financing of a wind farm project in the Gaspé region (Québec). Acting for a leading Canadian grocery retailer in relation to transactions for the purchase and sale of real property holding companies in the context of implementation and development of its stores in Québec. Acting for a leading U.S. based international manufacturer and marketer of transportation fuels, petrochemical products and power in the preparation of the request for proposals and related agreements in connection with the construction of a pipeline infrastructure project. Acting for a U.S. public company in a cross-border M&A transaction for the purchase of all the issued and outstanding shares of a privately held road-based mobile mapping business located in Québec.